Groundwork Greater Nottingham works with local communities, particularly communities in the most deprived wards in Nottingham, to find practical solutions to the challenges they face. In Nottingham, it is estimated that on any one day hostels across the city will accommodate between 200 and 300 children. According to a 2010 Families report, 50% of children in hostels experience disruption to their education whilst a quarter no longer access formal education as a result of their homelessness. The Groundwork Greater Nottingham Happy Days project provides support for children and their families in temporary accommodation hostels. 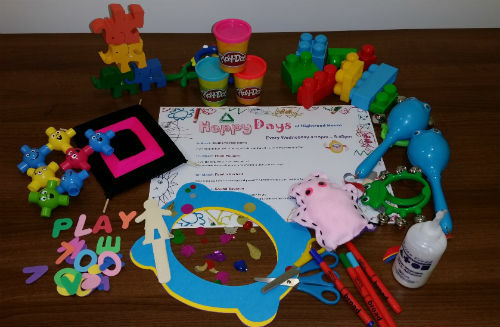 With funding from BFSS the Happy Days project has provided family developmental play sessions for over 72 children from 55 different families living in three temporary accommodation hostels in Nottingham. The project has also helped families to access other local services to maximise the support they can receive during their time of being homeless. It has encouraged families to play and learn together and rebuild bonds disrupted through their re-settlement.